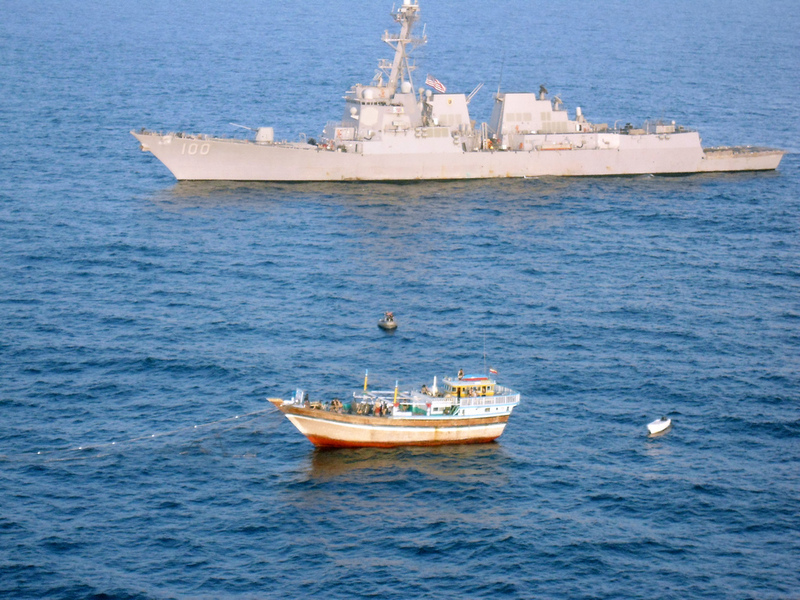 The Iranian government has officially thanked the United States for the USS Kidd rescuing an Iranian fishing boat and 13 Iranians who had been seized and held captive by pirates more than 40 days ago. The Iranian foreign ministry thanked the United States for rescuing its sailors, but Iranian news outlets linked to the Revolutionary Guard called the move a publicity stunt. 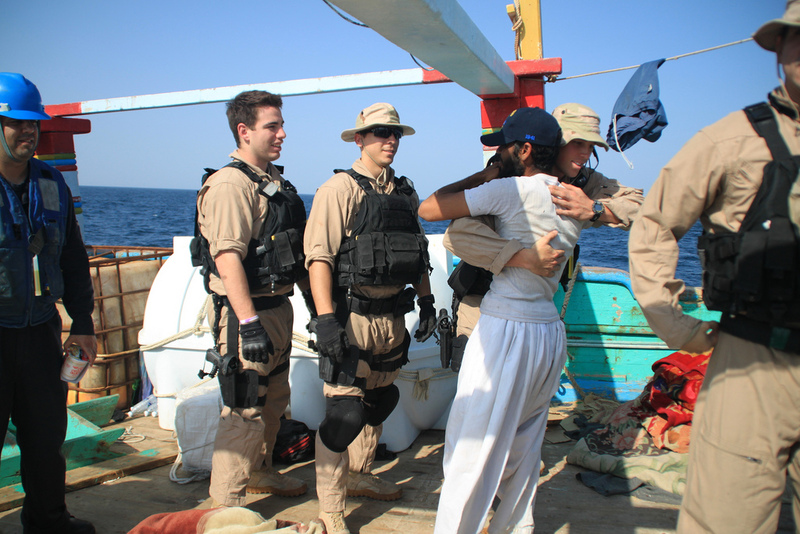 The search-and-seizure team from the USS Kidd gave the Iranian mariners food, water, and medical care. The pirates were taken into custody by the USS Kidd boarding party until Friday morning, when they were transferred to the USS John Stennis “where the matter will be reviewed for prosecution,” according to a statement. In the meantime, the U.S. Navy has released photographs of the rescue. And here’s a 17 second video of photographed from one of the helicopters on the rescue mission.